The food truck war might end, and we’re sure Chiller Trap and Hunting Rifle are staying. Fortnite developer Epic Games usually releases game updates on Tuesdays, but it won’t do it this time. 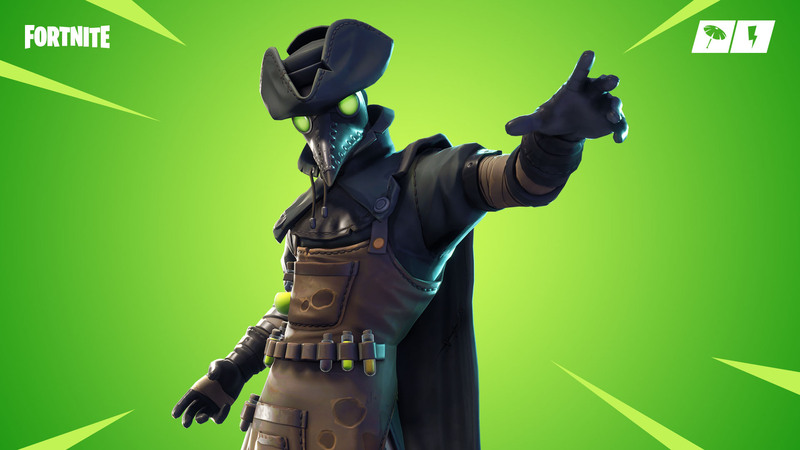 The 6.30 update might come Wednesday morning instead, like when the 6.20 update and Fortnitemares were released. Epic generally releases updates in cycles of one huge update with big changes and additions, and then two smaller updates with minor tweaks. Version 6.20 was the most recent big update. Since then, we had versions 6.21 and 6.22, so it’s unlikely that we’ll have a 6.23 update. Assuming Epic will continue with their release pattern and launch 6.30 tomorrow, there are a few things we can expect. The Durrr Burger versus Tomato Town food truck war might come to an end. The two food joints have parked their trucks in front of the soccer field north of Greasy Grove after both of them closed their restaurants. Epic has been asking players on social media to pick a side, either the Durrr Burger character Beef Boss or the Tomatohead from Tomato Town and Temple. While some players think this war will unfold into a new named location, players picking a side sounds a lot like a new Limited Time Mode. Maybe a special 50-vs-50 event where one side uses Tomatohead outfits and the other uses Beef Boss outfits in what would be the first battle of Fortnite’s Food Truck War I. This might be a stretch, but Epic is certainly preparing something to do with these food joints. What we are almost sure is coming is the Mounted Turret. It’s already in the News tab in-game as “coming soon,” so we might understand how this new gun works on Fortnite’s 6.30 update tomorrow. Some map areas and items can’t change because they’re bound to this season’s Battle Pass challenges. Chiller Traps, Hunting Rifle, Cozy Campfire, Shadow Stones, and other weapons must stay in the game until the end of season six for players to complete some challenges. Even Corrupted Areas have to stay there, many weeks after the Fortnitemares event that added them ended. But we can still expect some weapons or items to be removed and sent into the vault. As Epic adds new items, it generally removes some from the main game modes to ensure the meta is changing constantly. Mobility items such as the Jump Pad might go. If Epic doesn’t do that, a balance change to improve or weaken some guns is sure to happen. We still have to wait until tomorrow to figure out what changes in map, events, and weapons Epic Games has planned for Fortnite players. Fortnite’s 6.30 update is expected to be out tomorrow morning in all regions and consoles.